Each time we meet, some important values flow through our time together. Creativity - Reflecting who God is as creator of new things and re-creator of people and communities who are broken through craft activities, mealtime and worship. Celebration – The joy of being people of God and a member of this marvellous body we call the church. Hospitality – Creating a space and place that welcomes the people from all the edges of our community. A place that shapes what we do around the needs of our community, and being prepared to shape what we do to meet those needs. It’s about welcome and food and grace and giving. Christ Centred – in everything we do, we want to bring people closer to Jesus Christ. 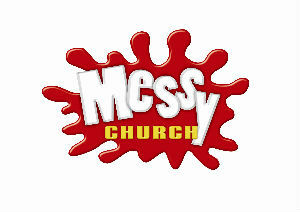 All age – Messy Church is not just for children or families, but has something for everyone. It’s a place where we journey together, from all experiences and backgrounds, learning from each other and together growing in faith and relationship with God. held every 2nd Sunday in the month, except August.